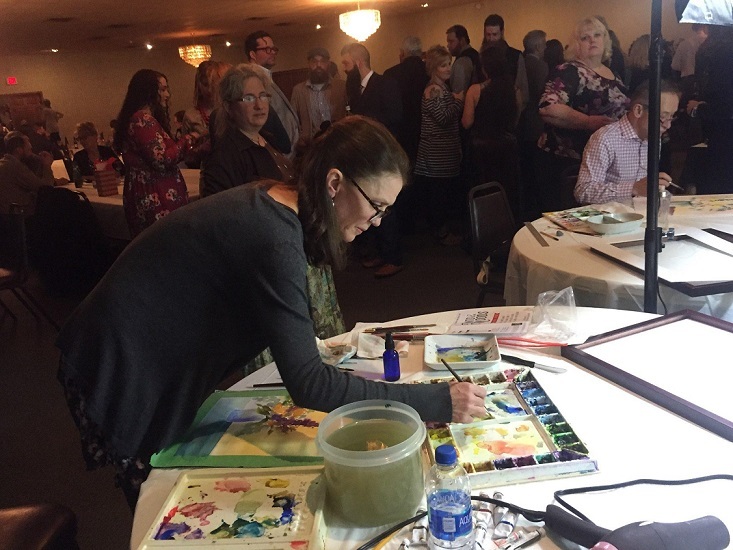 RIDGWAY – The Elk County Council on the Arts’ annual gala fundraiser is the biggest fundraiser of the year for the non-profit organization. The 2019 Gala will be held March 9 at Aiello’s Café in Ridgway. Each year ECCOTA relies on this fundraiser to assist in funding extensive summer youth programming, artist exhibits and community events scheduled for the summer season. The theme of this year’s gala is The Chair Affair, a reintroduction of a beloved gala theme from years past. One of a kind chairs that have been decorated by local artists and patrons of the arts will be available as part of the silent auction items. The gala will feature additional silent auction items including original artwork, getaways, gift certificates and more. Three local artists, including Pete Winklebauer, will participate in an interactive painting exhibition during the event, which culminates with a live auction of the paintings created. ECCOTA will also present “Heart in the Arts” awards during the event. The Council’s board of directors selects honorees who deserve recognition for their contributions to the arts in Elk County. The awards, founded on ECCOTA’s mission statement, include three categories: experiences, opportunity and support. The 2019 honorees will be announced shortly. ECCOTA has been supporting local artists and providing arts opportunities and experiences in the community since 1984. The sales gallery on Main Street in Ridgway offers pottery, woodwork, paintings, photography and more from over 50 local artists. The ECCOTA Gala is open to the public and will be held March 9 at 7 p.m. at Aiello’s Café in Ridgway. The event also includes live entertainment by Sleepwalker, comprised of Mark and Bekki Titchner and Matt Santaniello. Reservations can be made in advance, online and at the door. All proceeds benefit ECCOTA programming. For more event information, call ECCOTA at 814-772-7051 or visit ECCOTA.com.